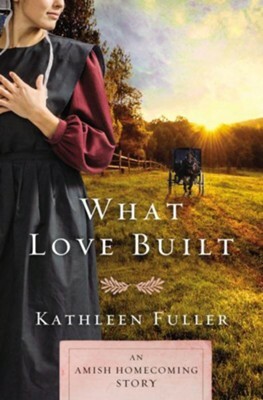 An Amish Homecoming story from bestselling author Kathleen Fuller. Independent and headstrong, Carolyn is determined to forge ahead with the opening of her bakery, a lifelong dream, in the Birch Creek home she left ten years ago. But shes in over her head and needs help with the cleaning, shopping, and deliveries. Carpenter Atlee Shetler is visiting Birch Creek to escape the memories of his late wife. He takes a job renovating the new bakery and finds the projectand its ownerto be much more than he bargained for. Both Carolyn and Atlee must face pains of the past if they want to have the bright future God has planned for them. I'm the author/artist and I want to review What Love Built: An Amish Homecoming Story / Digital original - eBook.